Dewy skin, makeup that enhances your natural features, an overall ethereal, angelic glow (otherwise known as “no-makeup makeup”) is a fairly recent beauty trend in America—but it’s been the norm in one country for ages. 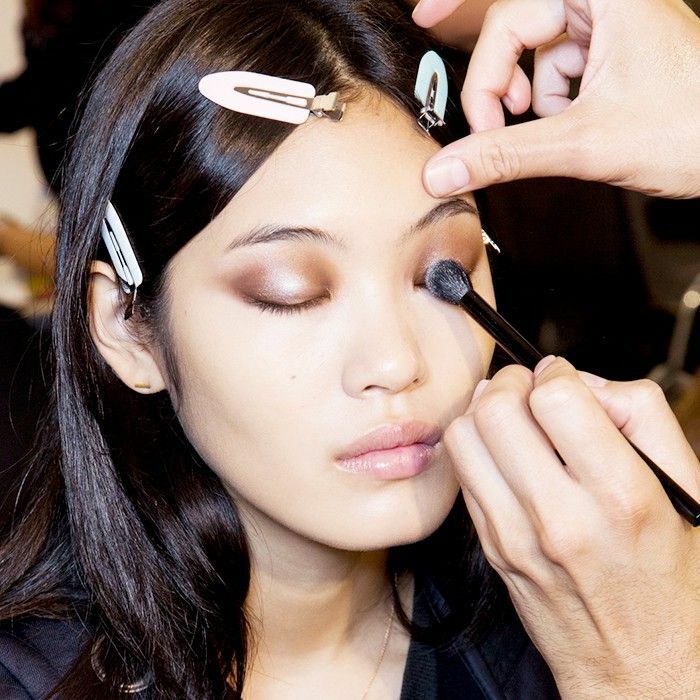 While we were discovering contouring, hyper-arched brows, and matte lipstick, South Korean women were simply extending their 10-step skincare routines by boosting their already-glowing complexions—and now, years later, we’re finally taking notes. This now-universal trend was pioneered and perfected by two Korean makeup artists in particular: Son Dae Sik and Park Tae Yun. The two former art majors met in school and bonded over their love of all things beauty and fashion, and from there, they perfected the makeup look that’s now readily associated with Korean beauty: wide doe eyes, skin that glistens from every angle, and a soft brow. Their clients include some of Korea’s biggest celebrities and K-pop stars, and beauty giants like Sephora have asked them to create the glowing looks on their most recent ad campaigns. Thus, when the lovely Charlotte Cho of Soko Glam approached me about collaborating with Mr. Son and Mr. Park, my excitement was palpable (quite literally—my shriek and frenzied typing may have alarmed my co-workers). They agreed to create a K-pop–inspired makeup look on me, and when they came in on a Friday afternoon to work their magic in the Byrdie studio, I could only nod along fervently and hope to memorize their every word. Lucky for you, I took notes. Keep scrolling to find out the most important makeup tips I learned from Son Dae Sik and Park Tae Yun. Mr. Son and Mr. Park have their own beauty line, aptly named Son & Park, and one of their hero products is something called a Beauty Water ($30). 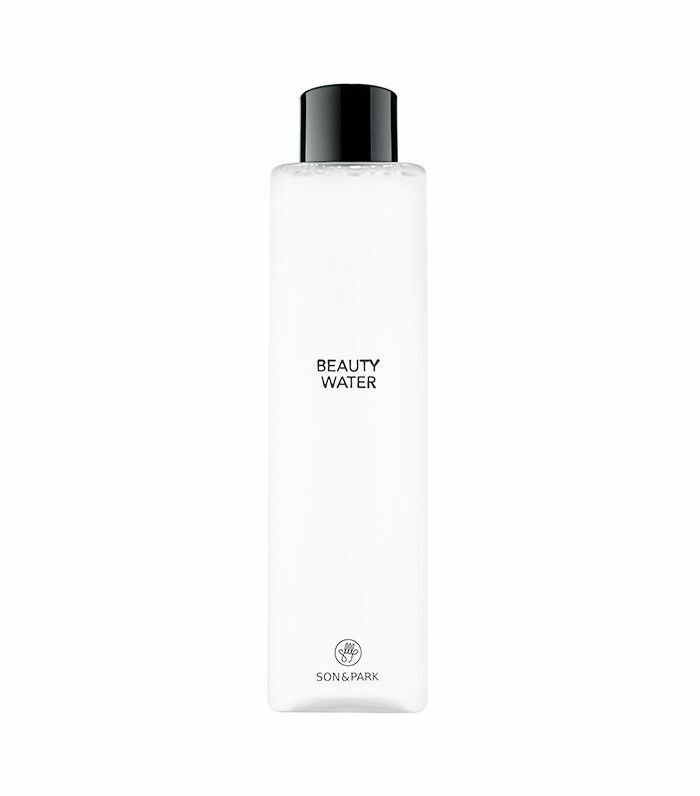 As the name might suggest, it’s a water that will make you more beautiful. Kidding, but it will tighten your pores, remove makeup, gently exfoliate, and create a clean base for your makeup application. (It’s such a cult hit that Sephora is now carrying it.) They applied it all over my face before starting with any makeup, and I loved how soothing and cooling it felt. Other ways to use their Beauty Water: to cleanse your skin first thing in the morning, refresh your skin mid-flight, tone your skin, and even to clean your brushes. To really get that lit-from-within look, add an extra step to your makeup routine and apply an illuminator all over before your foundation. Son and Park used their light-reflecting product, Strobing Base ($36), after they cleansed my skin to really amp up the glow factor (other good options: Burberry’s Fresh Glow Luminous Fluid Base, $48, and The Estée Edit’s Beam Team Hydrate + Glow, $42) . “Korean women love that dewy skin look, so it’s about making sure you prep the skin so that it shines and has that glow,” Cho translated during my makeover. They applied the product all over, but you can also just apply to the high points of your face. K-pop stars prefer to have defined, thick, and straight eyebrows, Cho explained to me. Why? Supposedly, it makes them look younger. “Right out of the womb, think about how your natural eyebrow looks—there’s not really a shape,” Cho says. “So, you will look very young if you have you have straight, thick, luscious eyebrows.” I’ve been experimenting with the straight-brow look ever since my makeover, and I’ve shocked at how much it has transformed my face. In fact, a girl I met at KCON this weekend actually complimented me on my brows out of the blue. As someone with little-to-no natural brows, this was a peak brow moment, and suffice to say, my brows will be straight and feathered from now until forever. In America, women stock up on eye creams and do everything they can to get rid of their eye bags; in Korea, women embrace them. The beauty look is called aegyo sal and involves accentuating the little pocket of fat under each eye because it makes you look cuter. Yes, really. It’s such a sweeping trend that Son and Park created a product specifically for it: their Plumping and Shaping Pencil Duo ($19). “It helps contour the fat underneath your eyes,” Cho translates. “If you highlight that area, it makes you look more youthful; your eyes look more smiley and you have an overall friendlier appearance.” They swiped the lighter pencil directly under my bottom lid, then lightly traced the darker shade below it—basically contouring my under-eye bags. And you know what? I totally dug it. Dewy skin is the goal, but it’s not about shining bright like a diamond from every angle of your face, I learned. “When it comes to having dewy skin, it’s not about having your entire face be shiny,” Cho explains. Son and Park used their Flawless Pore Pact ($27)—a translucent, blurring powder compact—on the sides of my nose, along my hairline, T-zone, and around my eyebrows. 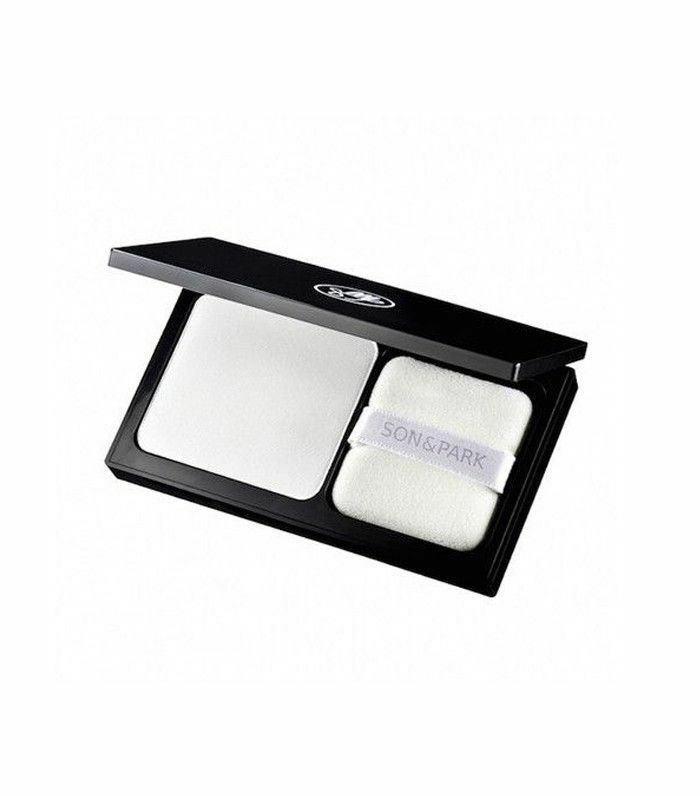 If you truly want a smooth, even-toned complexion, you have to use more than one shade of concealer, according to Park. He says that there are several different colors that are work for different areas of your face. A pinkish tone is best for covering up dark circles, a tan, deep concealer is best for concealing moles and dark spots, and a lighter shade is good for everywhere else. They make it easy for you with their Custom Cover Concealer Kit, $30, which houses all three different shades in one portable compact. See the finished look they created on me below!